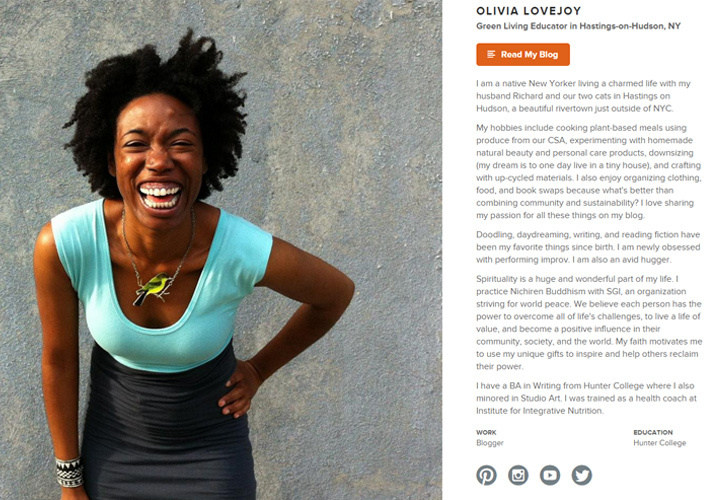 About.me has a beautiful new facelift that’s been rolling out over the past few months. The site was originally launched in 2009 as a personal website/portfolio service. It was meant to offer public profiles for anyone that wanted to have their name online. It launched publicly on December 16th, 2010 and four days later it was acquired by AOL. The site remained stagnant for a while until it saw a revival in 2013 when one of the original founders Tony Conrad regained majority control. Now in 2016 we’re seeing an incredible step forward as the service has a completely new redesign for the homepage and, more importantly, the user profile pages. You can tell this is a major improvement over the previous design from late 2015 which you can view in the Wayback Machine archives. 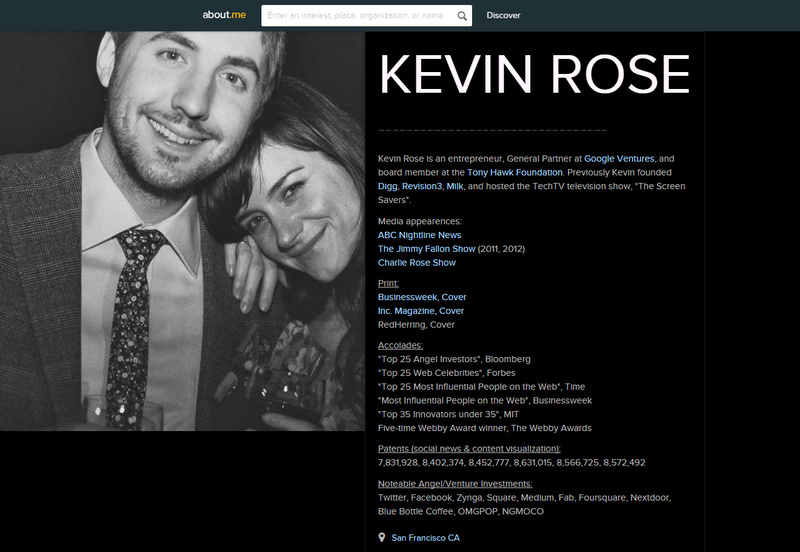 Note that About.me is not a social network and was never intended to be. There’s no friends or follower counts. Instead it’s a way for everyone to express themselves, what they do, and who they are to the Internet without buying a .com domain. But looking at the new profile designs you’ll notice there is something fresh called the spotlight button. Each user can setup their own spotlight button to do whatever they want. It could link to a portfolio or a newsletter signup or an Etsy store. People are meant to use About.me as a promotional service for themselves rather than a networking service to find others. And so far it seems to be working. These new profiles are rolling out slowly and haven’t yet been instated for 100% of About.me users. New signups will only get the new layout but long-time users are slowly watching their profiles update over time. 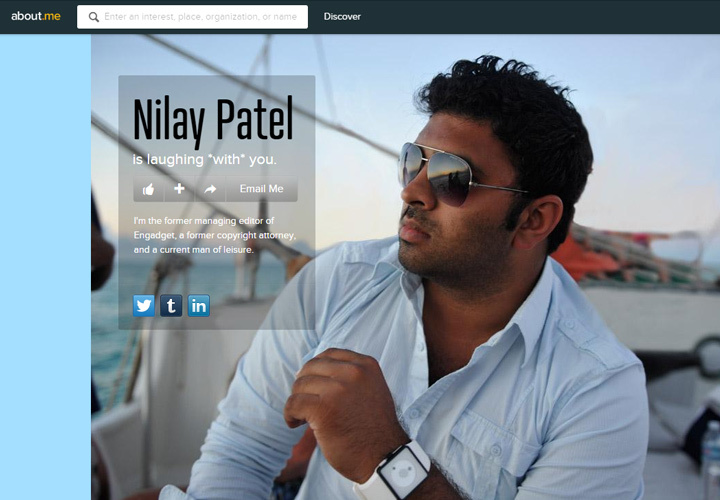 For example Nilay Patel of The Verge still has an older profile design. Instead of allowing users to customize almost every aspect of their profiles, About.me has limited users to templates with pre-selected areas for customization. 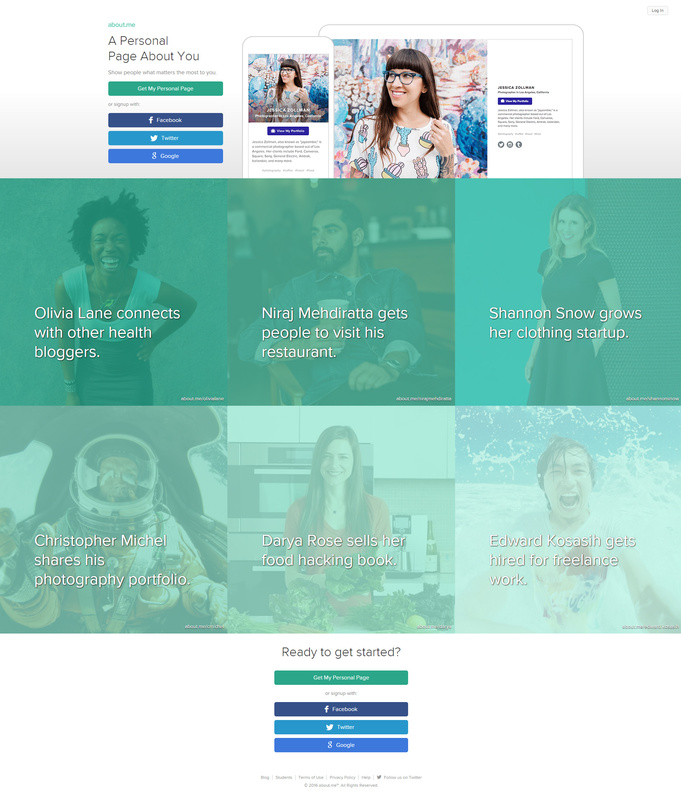 “We sort of de-Myspaced it” says Jeffrey Veen, creative lead for the About.me redesign. If you’re interested why not try it out and see what you think? About.me is completely free and seems like a great way to bring attention to your work whether it’s writing, design, development, art, or anything else. 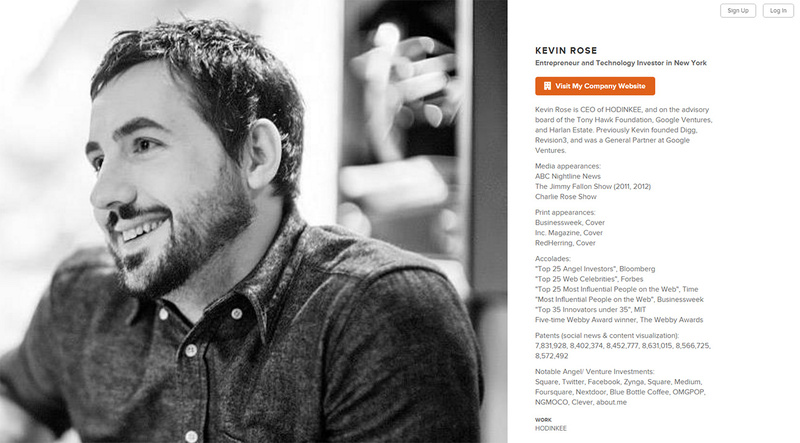 For comparison here’s Kevin Rose’s old profile compared to the new redesign.